William Marshal, 1st Earl of Pembroke, also called William the Marshal, was an Anglo-Norman soldier and statesman. 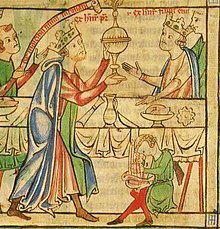 He served five English kings – Henry II, his sons the "Young King" Henry, Richard I, John, and John's son Henry III. Robert FitzRoy, 1st Earl of Gloucester was an illegitimate son of King Henry I of England. 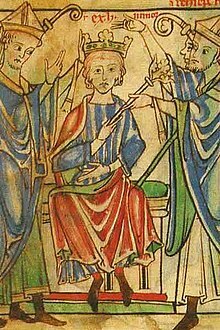 He was the half-brother of the Empress Matilda, and her chief military supporter during the civil war known as The Anarchy, in which she vied with Stephen of Blois for the throne of England. 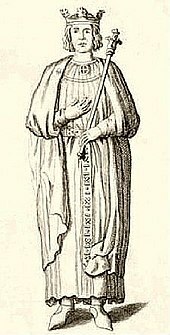 Alan III of Rennes was Count of Rennes and duke of Brittany, by right of succession from 1008 to his death. Walter de Coutances was a medieval Anglo-Norman bishop of Lincoln and archbishop of Rouen. He began his royal service in the government of Henry II, serving as a vice-chancellor. He also accumulated a number of ecclesiastical offices, becoming successively canon of Rouen Cathedral, treasurer of Rouen, and archdeacon of Oxford. 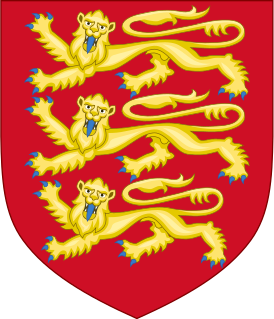 King Henry sent him on a number of diplomatic missions and finally rewarded him with the bishopric of Lincoln in 1183. He did not remain there long, for he was translated to Rouen in late 1184. Robert II or Robert the Dane, Archbishop of Rouen, and Count of Évreux was a powerful and influential prelate, and a family member of and supporter of five dukes of Normandy.